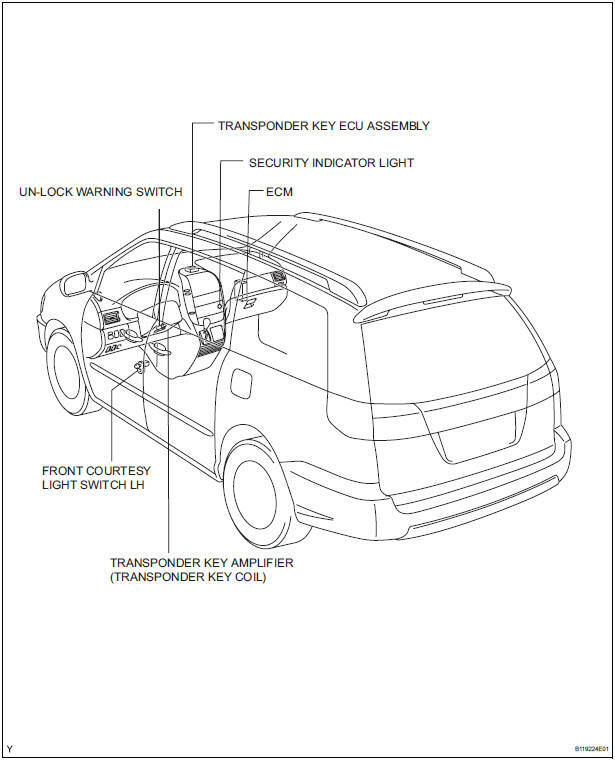 The engine immobiliser system has been designed to prevent the vehicle from being stolen. This system uses a transponder key ECU that stores the key code of the authorized ignition key. If an attempt is made to start the engine using a non-authorized key, the transponder key ECU sends a signal to the ECM to prohibit fuel delivery and ignition, effectively disabling the engine.